Looking for a warm and healthier dessert so opted for something fruity and delicious. Always vegan, of course, and this time with no added sugar. Apple Crumble Stuff: 2 gala apples cubed cooked in the Instapot with 2 Tbsp almond butter, 1tsp cinnamon, 1tsp golden milk powder, 2 Tbsp sugar free raw muesli, 1 Tbsp water cooked 1 minute then carefully manually release steam. Banana Nice Cream: 1 frozen overripe banana blended with 1 Tbsp almond milk, 1 tsp vanilla extract and a sprinkle of cinnamon. You know what makes every outfit spectacular? A special tiny hat, of course!! Have a special occasion coming up? Wish you could have special custom headpieces for everyone you know?! Looking for a new hobby or crafty profession? Learn the skills needed to make your own amazing tiny hats without the use of gelatin, feathers, wool or leather while making your own. With 7 years of millinery experience and 16 years of professional seamstress work between them , our expert, super fun team of teachers Xappa and Randi have the expertise, creativity, vision and patience to step you through this magical process! Students will learn basic fabric manipulation techniques, composition, and embellishment strategies working with sinamay fabric and hand sewing techniques. Students will be making a vegan fascinator headband or hair comb to take home. Join All About The ‘Booch, Maricopa County’s first kombucha microbrewery, to learn how to make kombucha at home! In this class, you will learn how to make your own kombucha at home and you will get to try a sampling of different kombucha flavors brewed locally by All About The 'Booch. * A kombucha starter kit (SCOBY, starter tea, 1-gallon glass jar, cloth cover, adhesive temperature strip, and a recipe) to take home and start your very own home brew. It is safe for you to be healthy. Tea tree rosemary bricks of soap in their soap molds. Rooted in deep discomfort of my past, in this perfectly flawed body, my primary “dream” that brought me to this point has been comfort in my own skin and ease of breath.. physically, certainly, but emotionally and spiritually as well. It is my illnesses and injuries that paved this path, made me strong, made me resilient, made me learn, drove me to dig deeply and uncover healing. I want that for you and so much more. It is ok to ask for more, it is safe to create your dream life, you deserve to find the ease/excitement/joy/pleasure/peace/healing you know you are capable of.What are you ready to let go of today? What dream are you ready to receive? Sending love this beautiful Tuesday and an offering of self-care physical anchors to remind you of your Power and ability to transform when you put yourself first. Our magical essential oil blends, healing soaps, and nourishing cremes are formulated to support you on every level, available at StrawberryHedgehog.com and at our Soap Shop & Vegan Boutique at 15th Ave and Thomas in Phoenix, open Wed-Sun 10:30-7:30pm. Happy New Year! Lots of fun stuff coming up. Yoga is back! Dubbed lovingly “Sleepy Smelly Yoga” by our favorite yogi soapies, you won’t want to miss these classes, now shifted to Second Soulful Sundays from First Fridays to give you more time to dedicate to yourself. We shift all of our soap tables out of the way for a soothing, aromathatherapeutic evening. Sign up now for individual classes, for the season, or take the plunge and sign up for the full year for a hefty discount! Click here for more info! Want to see what other fabulous offerings dear Robin has? 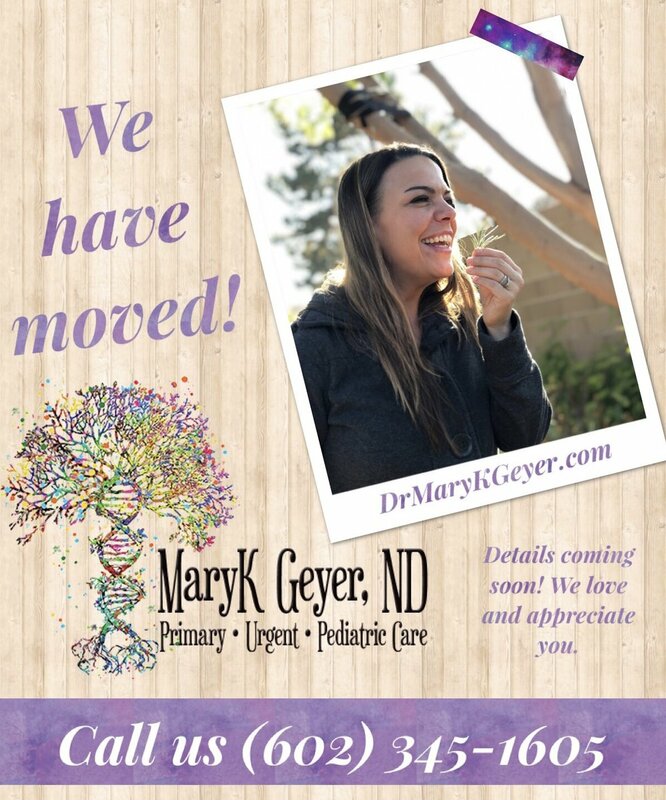 Click here to visit her website for more classes, one on one therapies, and more! to discuss chemical exposure in daily life and products. Tickets now on sale for the Indie Film Fest in downtown Phoenix, Feb 1 and 2! Head to TheIndieFilmFest.com to get your all access pass and see fantastic films curated from local artists and around the globe, discussion panels, director Q&A, and live music. Strawberry Hedgehog is a sponsor of this event and will have a VIP Pink Carpet for you to come join us taking fabulous photos and celebrate independent artists with a portion of all sales going to the artists directly and also supporting community grassroots leaders, LUCHA! We are excited that PhxFlea is almost here!!! Less than a week away 💖We started with the flea in 2014 and it is always such a blast!! Our fav fellow makers and just a beautifully orchestrated outdoor event! Here are some throwback shots from beloved fleas past. See you this Saturday November 24th at @phxflea 10-5 at heritage square! $5 cash or you can go to their website to buy your ticket early and skip the line! Phoenix Flea is this Saturday! Get your tickets NOW to get into the market quicker + you'll be entered to WIN a door prize!Phoenix Flea is a modern market showcasing the best makers & shops around! This is not your typical flea market. You'll find handcrafted goods & fine art from skilled craftsman & artisans, curated vintage, modern fashion & design, + delicious food & drink!See our vendor line-up, event details & 🎫 get your tickets at https://www.brownpapertickets.com/event/3884336Select Mobile Delivery to have the ticket on your phone or the print at home option.Children 12 & under are free.Tickets can be purchased at the gate for $5 CASH only. We do not have an ATM. 🚗🚅🚕🚲 This is a downtown event! We recommend taking the light rail or carpooling. There are parking garages (rates vary) & metered street parking. Event season is nearly upon us! All of us Soap Gnomes are working hard to make all the goodies you need to get you through the most self-care-necessary season and provide all the healthy, happy gifts you need! Can’t make the events? You know you can always come see us Wednesday-Sunday 10:30-7:30pm at the Soap Shop & Vegan Boutique at 15th Ave and Thomas for the greatest variety of our handcrafted cruelty free, toxin free skin care AND 50+ other makers and artists’ work! We had our first pick up date for the Blue Sky Farms Community Supported Agriculture Farm Box at the Soap Shop and Vegan Boutique last week! I was thrilled with the selection from the Big Box. I love that they are local and organic and that I am in for a surprise each week! I love coming up with new ideas for how to prepare surprise veggies. I had never seen these cutie pie round squashes and wanted to take advantage of the gorgeous baby spinach. Heat olive oil to medium heat, add garlic then lay the squash down for a single layer of squash across the pan. Sprinkle with almond flour, salt and pepper. Allow to cook until the squash starts to appear transparent, flip each piece and continue until the squash begins to brown. Make space in the pan by stacking squash pieces and add the sausages for a moment just to heat through. Toss your gorgeous fresh spinach with a bit of dressing then top with your squash and sausage. Enjoy!! We will be having a Blue Sky Organic Farms Community Supported Agriculture Farm Box pick up at the Soap Shop & Vegan Boutique with Friday afternoon pick ups! Want in? Head to https://blueskyorganicfarms.csaware.com/store/ and choose Strawberry Hedgehog Soap Shop and Vegan Boutique at 1501 W Thomas Rd, Phoenix 85015 as your pick up location. Hi, loves. Tracy here, soap maker extraordinaire. 💖 At any given moment these days it may feel like the world is going to hell in a hand basket, as my dear old Dad likes to quote his Mom as saying. Times are WEIRD and difficult and changing but they are also amazing! I'm going to take a break from listening to my brain ☝️and make a heart post for a moment. Matty's dream has been to make a powerful sports film and this year he did just that! Not only did he film a spectacular documentary of Calais Campbell's free agent period, it is now playing on ESPN through producers, Uninteruppted! YRSB hits the film festival circuit!